February 2005: Possible rendition of high-value detainees, between Morocco, Romania and Lithuania. 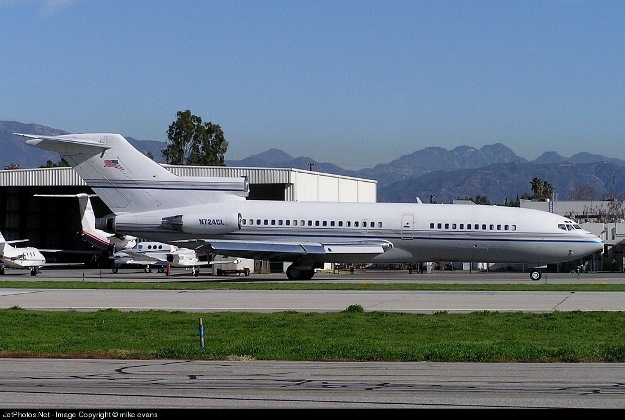 N724CL is a privately-owned Boeing 727, a large jet that can carry 134 passengers. It was chartered by the CIA through its contract with DynCorp/CSC, and can be linked to the possible transfer of high-value detainees between Morocco, Romania and Lithuania in February 2005. The aircraft is owned by Clay Lacy Aviation, a company based in Van Nuys, California (close to another company involved in the programme, Prime Jet). Clay Lacy Aviation was founded in 1968 and styles itself as ‘the most experienced operator of private jets in the world’. Flights undertaken by this aircraft have been operated either by Clay Lacy Aviation, or by Classic Air Limited, a subsidiary of Clay Lacy established solely to operate this aircraft. Universal Weather and Aviation Inc. has provided trip planning services for N724CL, including during its circuit through Morocco, Romania and Lithuania.